It’s -30 (-22 in Fahrenheit for the Americans out there) with the windshield out. I realize that I have been consistently complaining about the cold and the snow since I got back from Jamaica, but seriously it is SO COLD. I day dream of walking the Dog in a t-shirt, shorts and a pair of flip flops. Our patio table sits sadly unused buried in snow in the backyard. Because I live in the city the snow and ice is no longer white on the streets but a dark inky black that makes me want to walk around the city with a gas mask on (seriously when white turns that black you have to wonder what you breathe in on a daily basis). My remedy for the cold is of course to turn my oven on and bake. I made these beauties at Christmas time but in the hustle and bustle of Christmas never got around to blogging about them so I made them again yesterday. They are ridiculously good. One of the people I gave them to at Christmas claimed they were one of the best cookies said person had ever had. Can’t really top that in the way of endorsements! 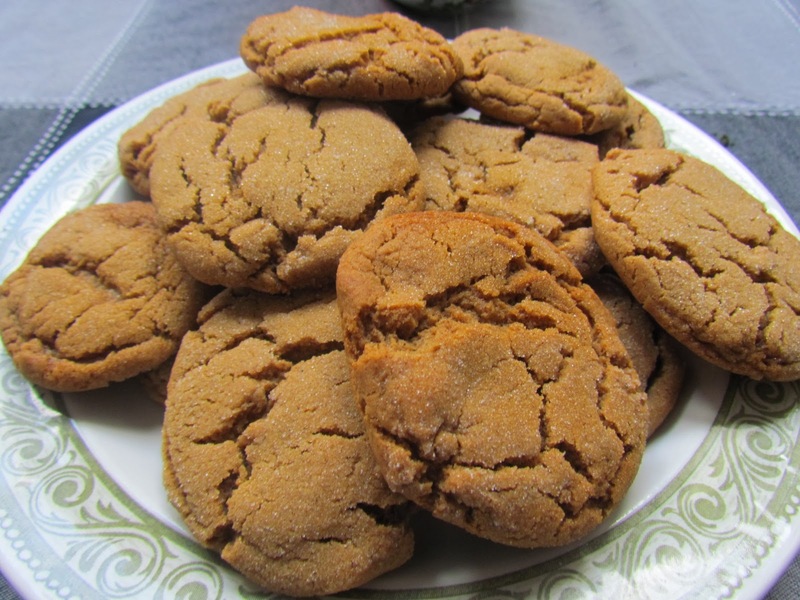 I think we can all agree that ginger and molasses are a perfect winter combination. They speak of cold nights and warm fires. They go perfectly with a hot cup of tea. 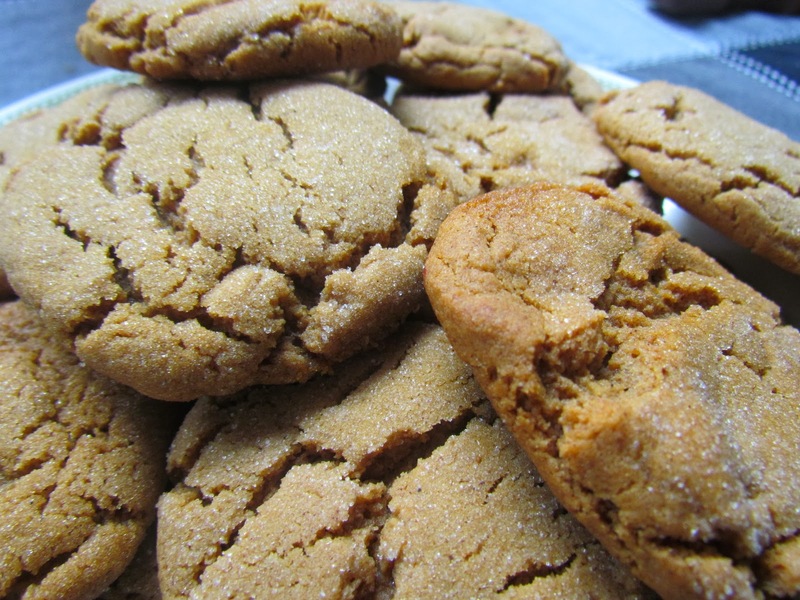 These are the depths of winter cookies. They are a little bit chewy and soft without being too light. 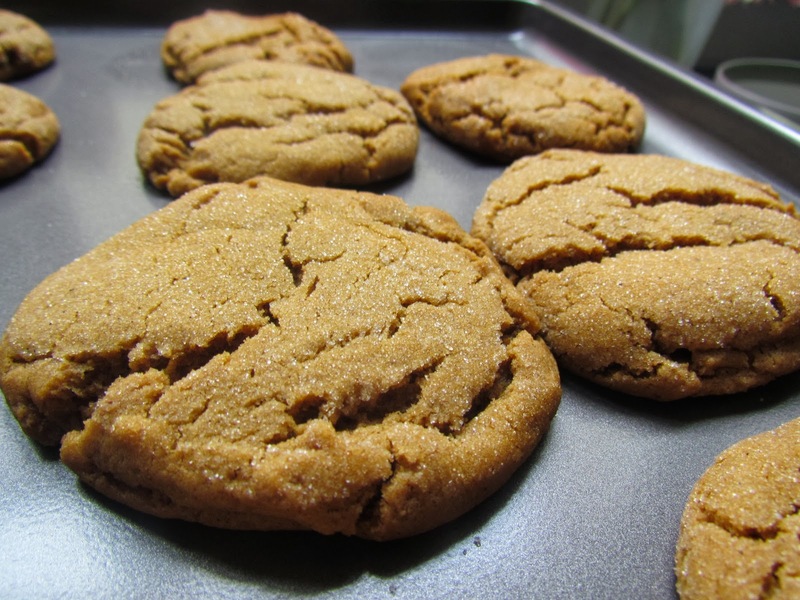 They are also one of those cookies where the dough tastes as good as the final baked product. I may or may not have eaten spoonfulls of dough in the process and three cookies hot off the pan in a row. Did I mention that you also roll them in sugar? Just look at those lovelies sparkling. 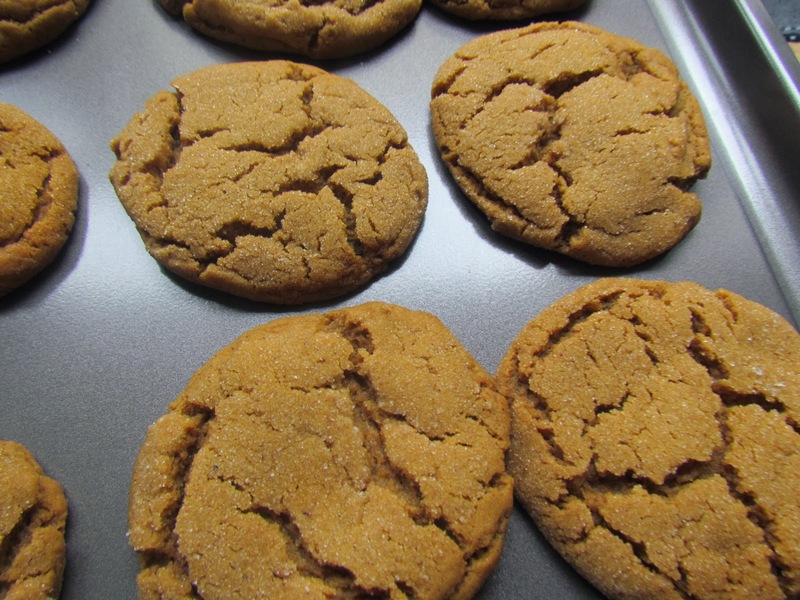 Also, quick confession, I just ate two more of these cookies while writing this post. Yes, they really are THAT good. The oscars are this coming Sunday, which I cannot wait for! It is a tradition for me to go home to my parents house to watch them with my Mum. We order in Chinese, make popcorn and have our cards out with our winning picks marked down. I cannot wait. I’m trying to come up with some kind of Oscar themed dessert to bring with me! 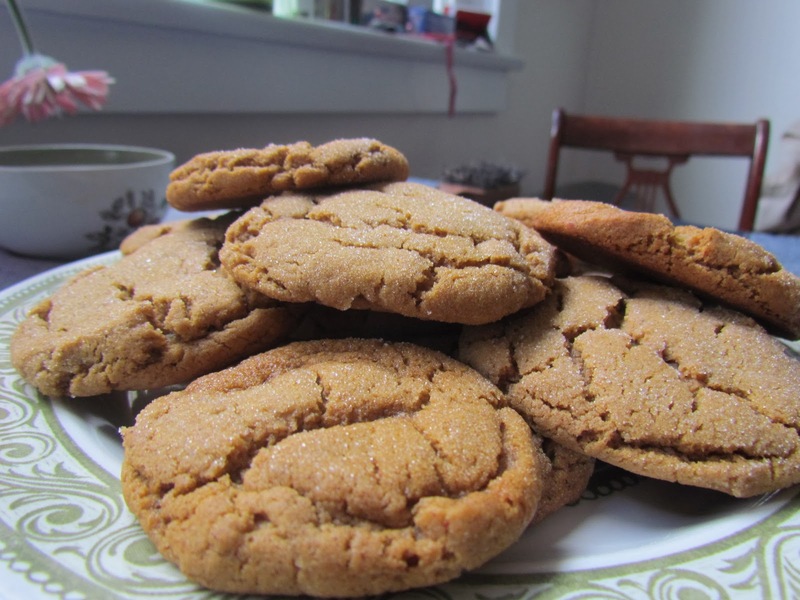 Enjoy the weekend, whip up a batch of these cookies and settle in with a cup of tea, a good book and know that eventually this winter has to end! In the bowl of a stand mixer (or in a larger bowl with a handheld mixer) cream together the margarine, sugar, molasses and water.